MXGP Qualifying may have put Tim Gajser at the top of the standings yet when the gate dropped it was Antonio Cairoli who took the early Fox Holeshot and lead, only for that to be soon taken away by none other than Gajser, who then put in a blistering pace to create a gap. 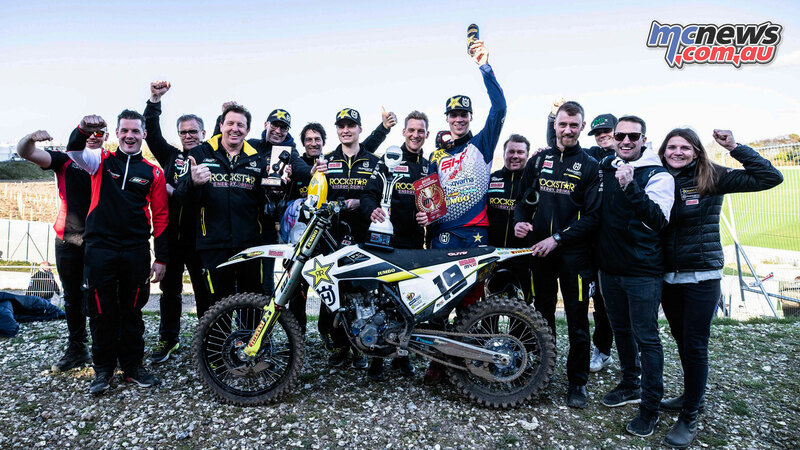 Behind the former World Champions, it was Jeremy Van Horebeek, but he was passed by Gautier Paulin and then made a mistake which allowed Ivo Monticelli and Clement Desalle through. 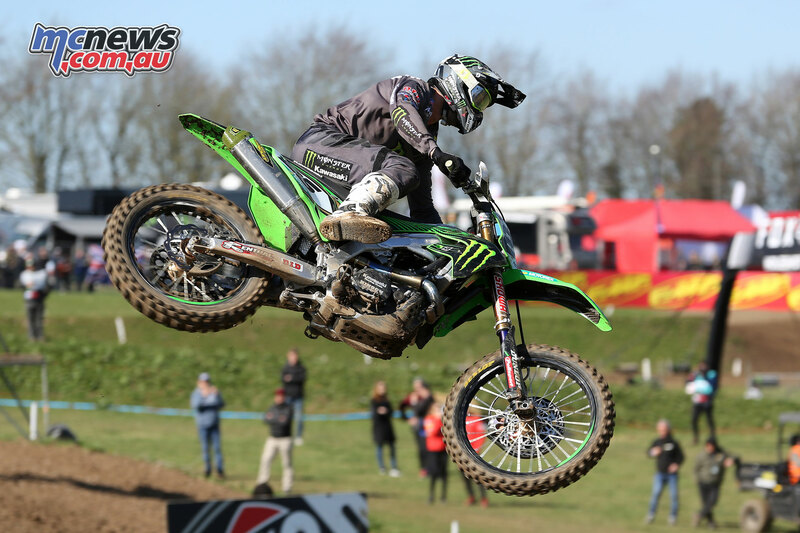 Behind Van Horebeek it was Arnaud Tonus and now Jeremy Seewer. Three laps into the race Van Horebeek made it back past Monticelli and into the top 5. 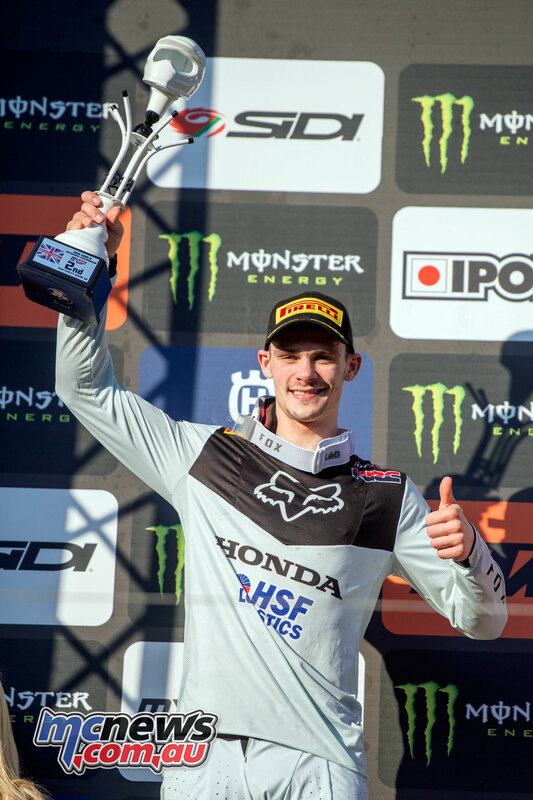 Only a lap later Gajser took a violent high-speed crash while leading Cairoli but miraculously sprung back to his feet and rejoined the action on his damaged Honda in third position barely ahead of Desalle. 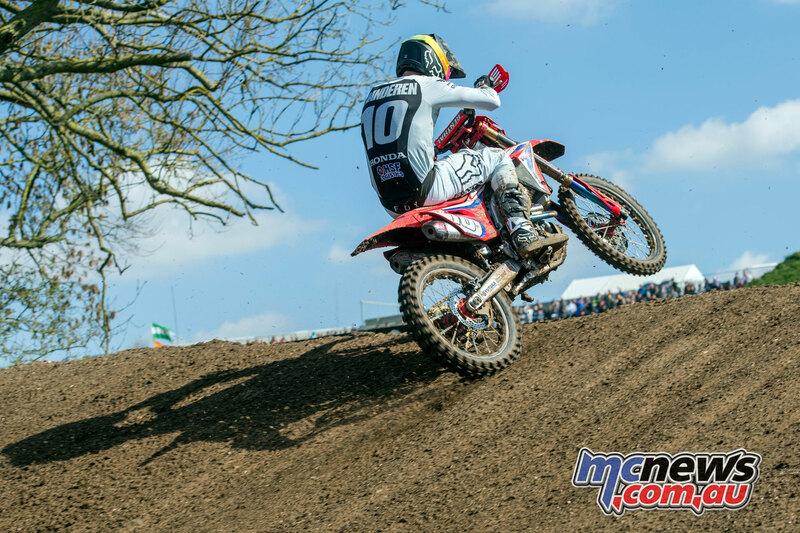 Surprisingly Gajser wasted no time putting in more fast laps even as his broken front number plate dangled on the bent bars. 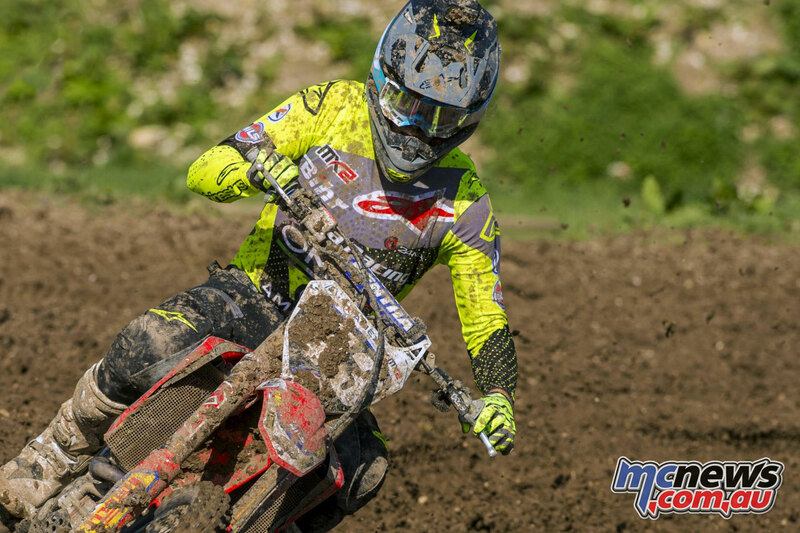 Gajser instead of stopping or even slowing won over many fans as he pulled away from Desalle and closed in on Paulin. 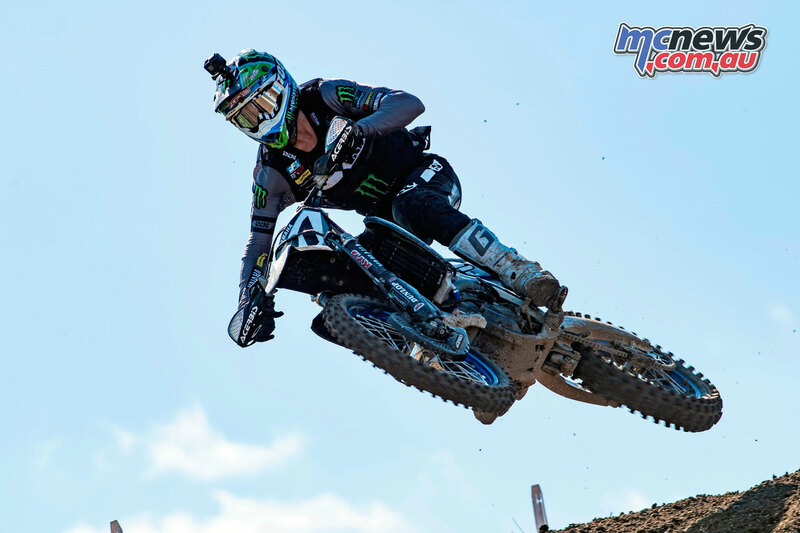 Max Anstie made a hard charge to move from 12th into seventh, while Cairoli took the race win and Gajser took third behind Paulin. Race 2 started in similar fashion when Cairoli took the holeshot and Gajser took the lead but this time Gajser’s gap was bigger. 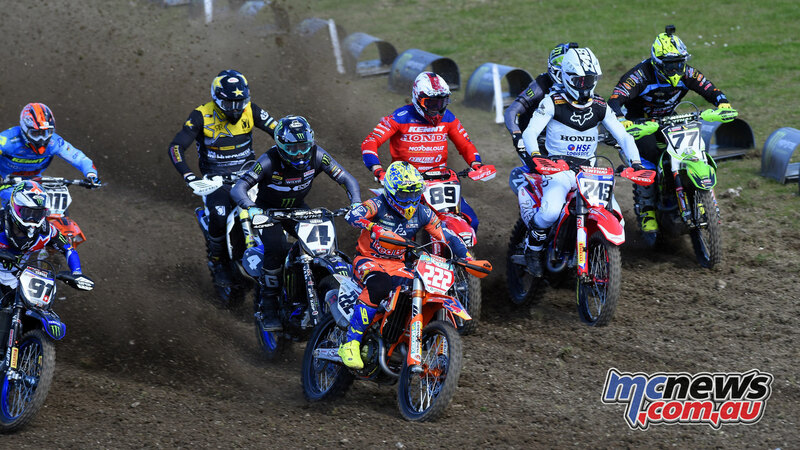 Paulin was the third veteran who found himself at the front but the rider in fourth was new Arminas Jasikonis who had Seewer giving chase. 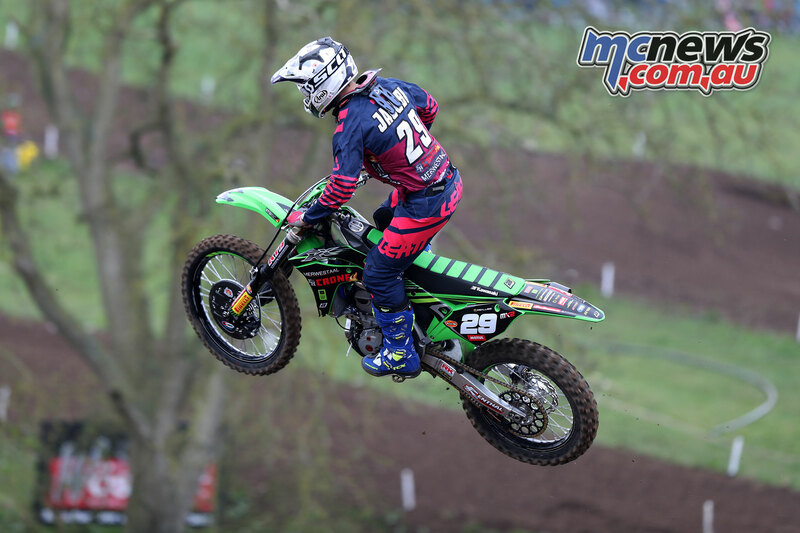 Jasikonis’ teammate Jonass was sixth before being passed by Van Horebeek but then held seventh until fading four positions in the last five laps. The top five never changed positions during the race. 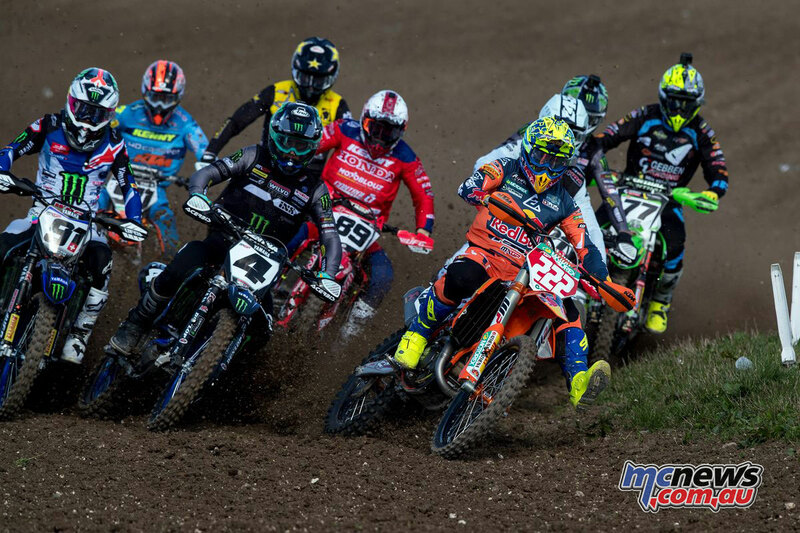 Cairoli made a late charge in an attempt to catch Gajser, but it was too late, and the Slovenian claimed the Race 2 win 1.7 seconds ahead of the Sicilian and a massive 54 ahead of Paulin in third. 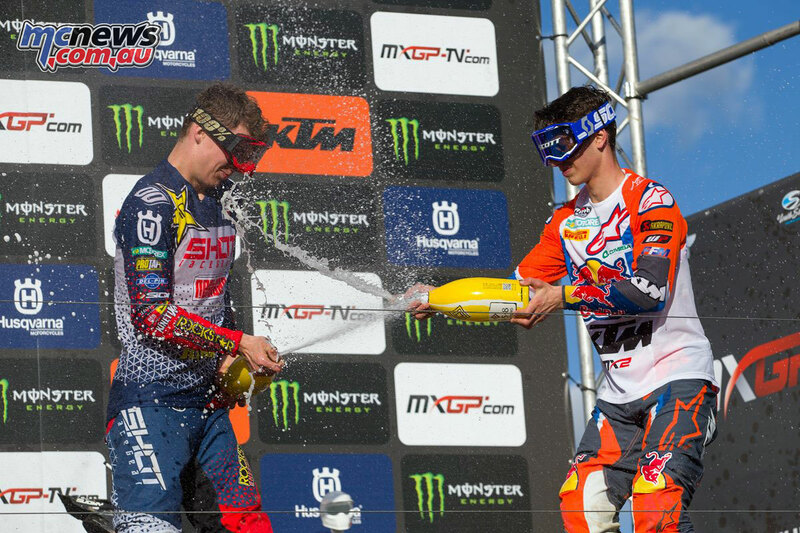 The overall win went to Cairoli for his 87th time and who later revealed a shoulder injury, but Gajser’s ride was remarkable when considering his rebound from the race 1 crash. 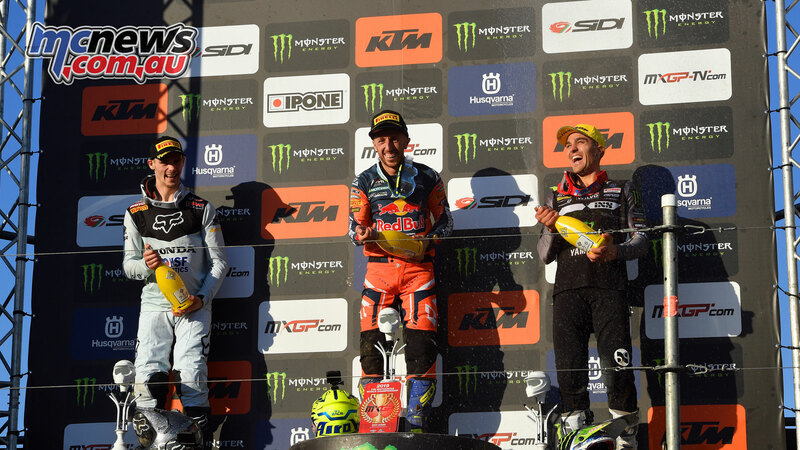 Paulin’s 2-3 gave him third overall as Desalle took fourth and Van Horebeek placed fifth leaving the top five riders shuffled but unchanged since Patagonia. 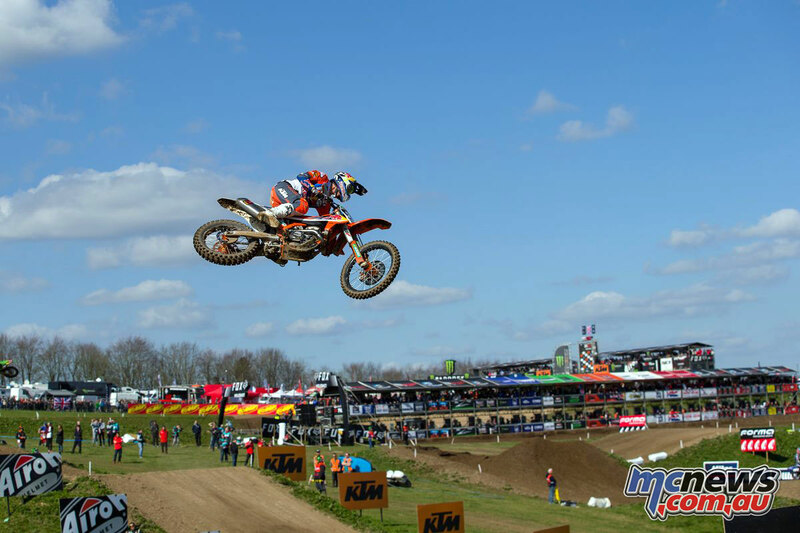 The series will now head to Valkenswaard for the MXGP of the Netherlands next weekend. 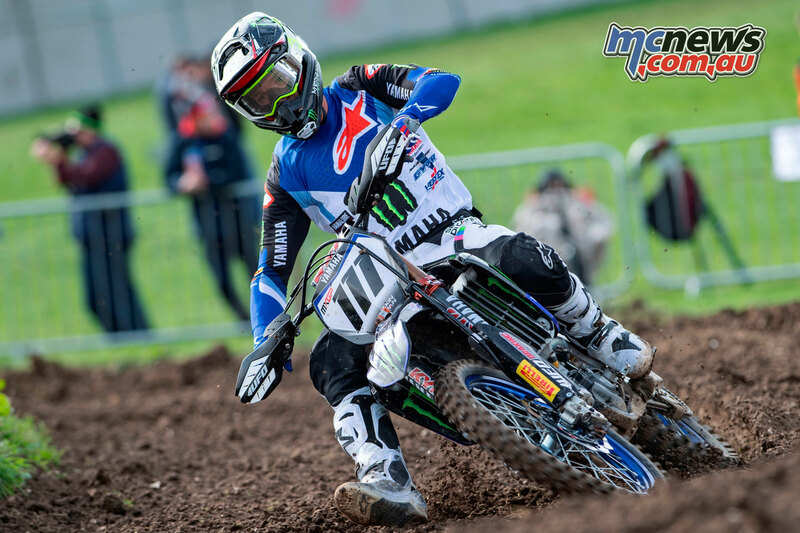 Filling in for Romain Febvre, Dean Ferris’ return to racing did not go to plan. 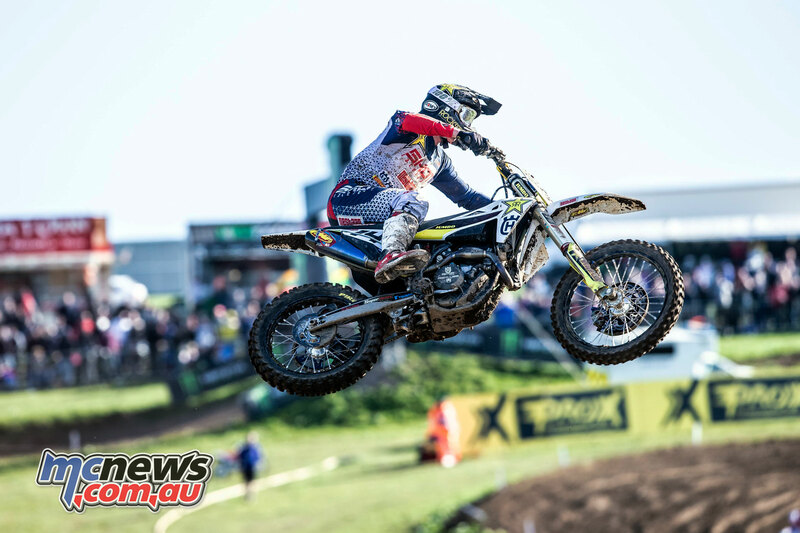 The Australian got faster with every lap completed throughout the weekend, but did not get a chance to prove his potential with a fall at the start of Race 2 cutting his Grand Prix short. 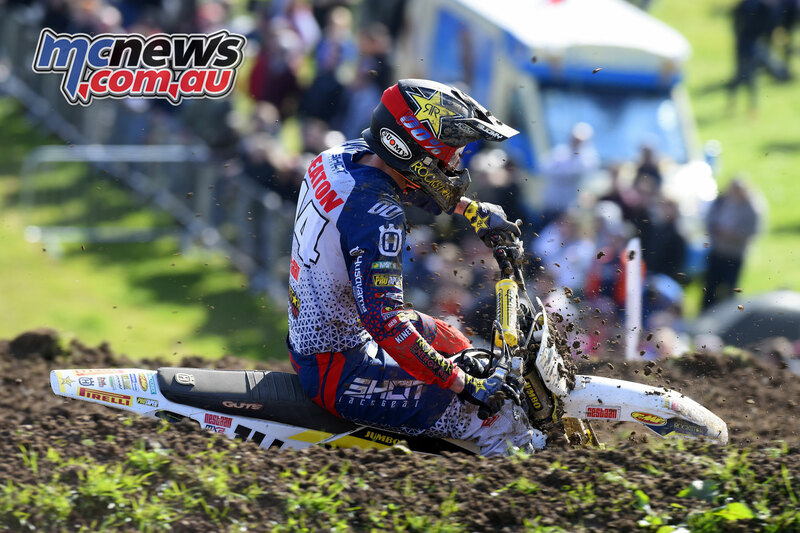 Ferris fears a knee injury and will be examined by medical professionals. 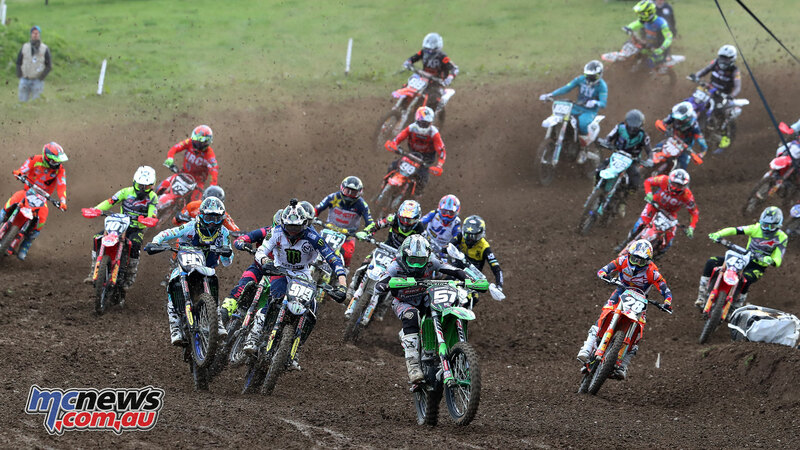 The MX2 class saw battles in both races as the field fought for championship points, with Race 1 starting with Tom Vialle taking the Fox Holeshot for the second time this season. 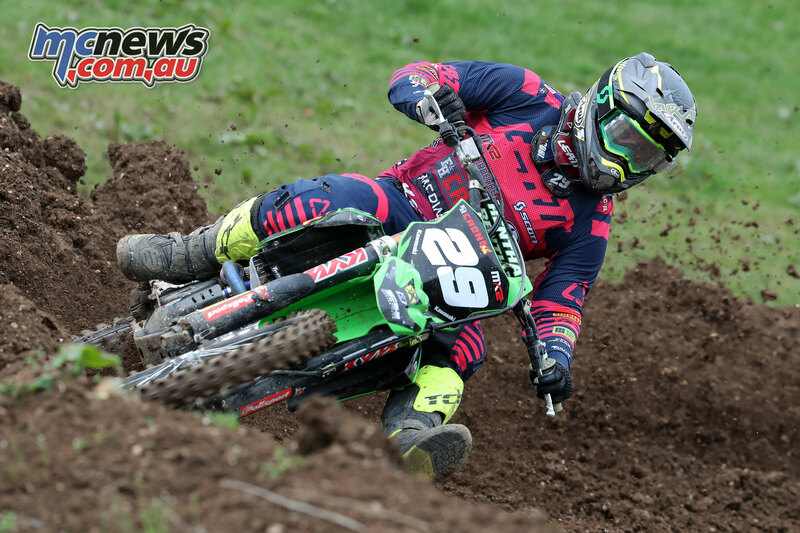 Vialle led but was under pressure from Thomas Kjer Olsen and Dylan Walsh, while in the thick of the racing was Ben Watson and Henry Jacobi. 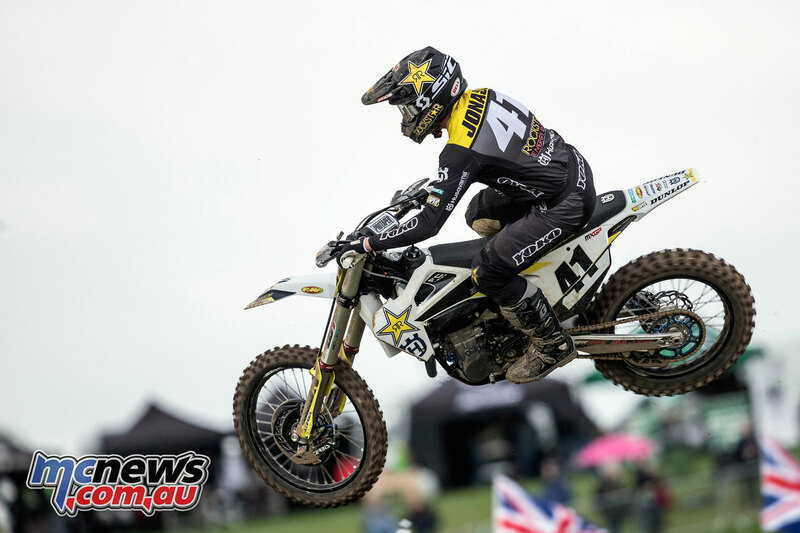 Watson made an unfortunate error dropping the bike early in the race dropping him from fourth back to ninth. 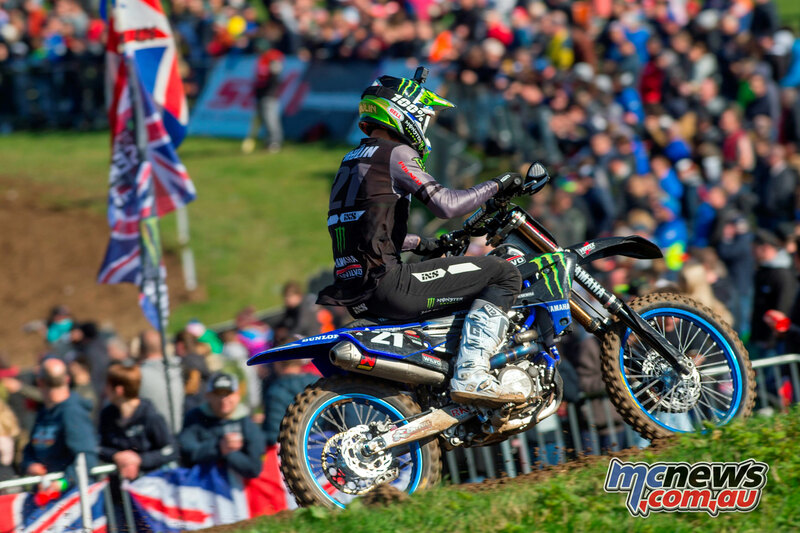 Watson’s teammate Jago Geerts also suffered from mistakes while running inside the top ten putting the two Kemea Yamaha’s in a difficult position. By the second lap Olsen took the top spot from Vialle, who then lost out to the moves of Jacobi as well when the German passed him on the outside. 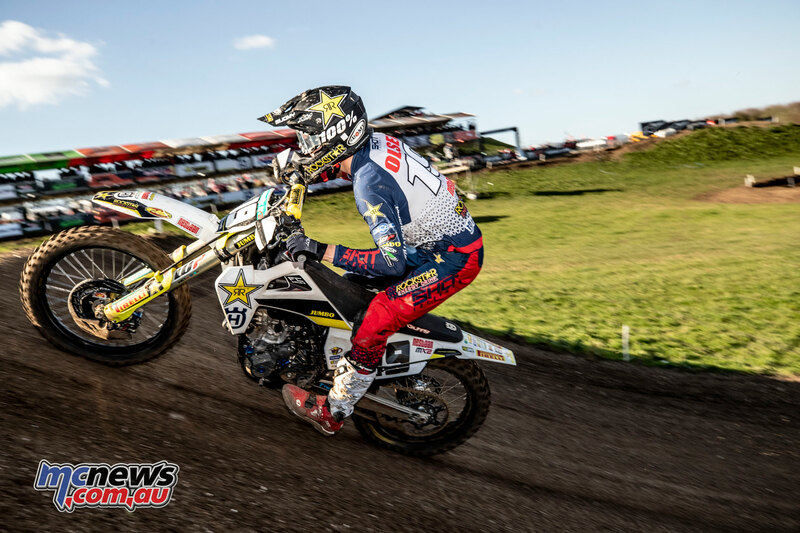 Local hero Conrad Mewse moved up to fourth from 11th before a mechanical issue on the last lap. Olsen’s lead started to be chipped at by Jacobi but the title hopeful kept his cool and held the spot through to take the checkered flag and his first race win this season. 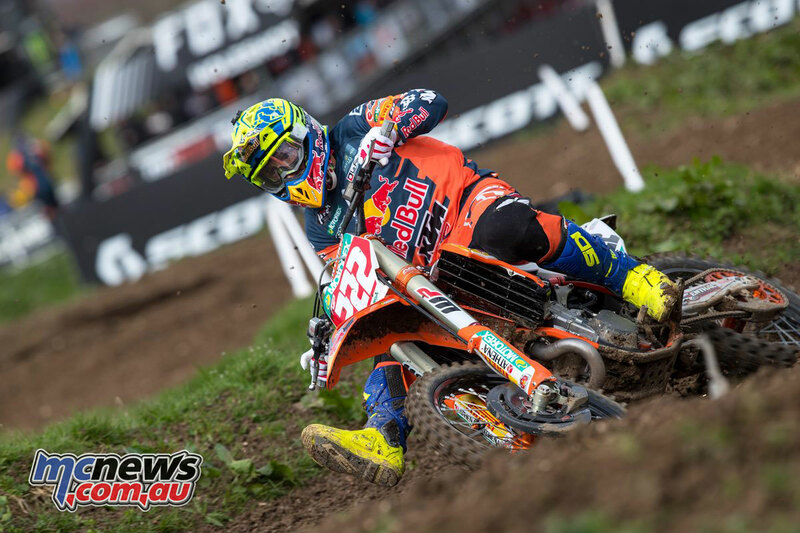 Mewse’s fourth position was taken by Watson, but Mewse managed to limp his bike across the finish in sixth just behind Michele Cervellin. 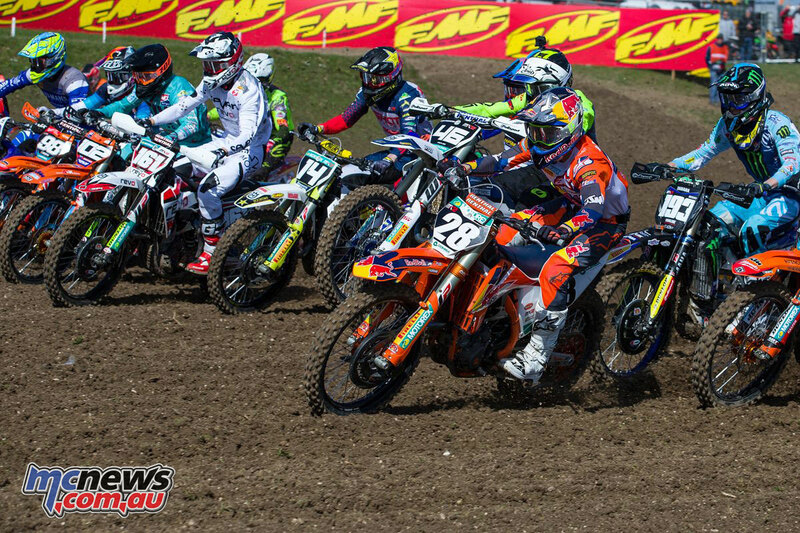 Race 2 proved that KTM and Vialle made the right choice as he took his third 4 Fox Holeshots so far in 2019. Vialle again had Walsh just behind along with Olsen, Jacobi, and Calvin Vlaanderen. 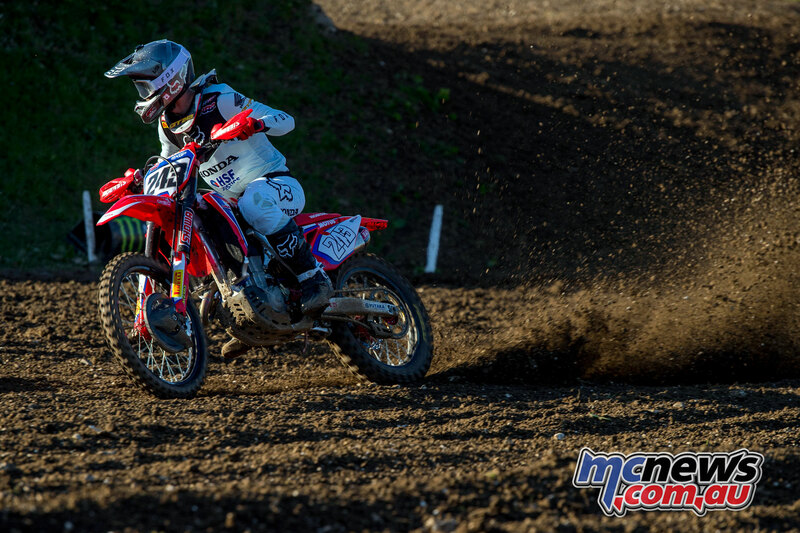 Olsen took second from Walsh before the first lap was complete, while Mathys Boisrame fought in the top five on his Honda CRF250. A mistake from Jacobi allowed Vlaanderen to get past who then took third from Walsh. Jacobi recovered and found his form to get past Walsh as well and his speed allowed him to catch the front runners and Vialle who had dropped a spot to Vlaanderen. With less than two laps to go Jacobi flew past Vialle, moving the German into third in the race but second overall. 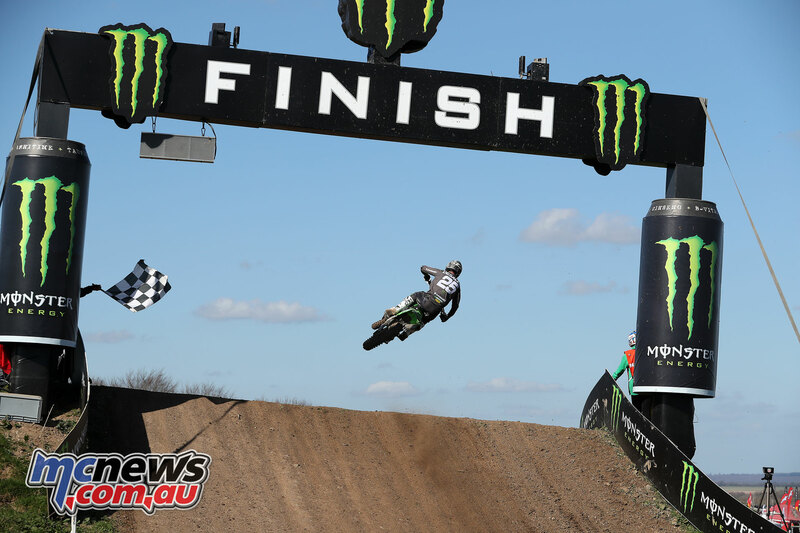 Olsen’s dominant weekend continued winning Race 2 by 9.9 seconds over Vlaanderen. 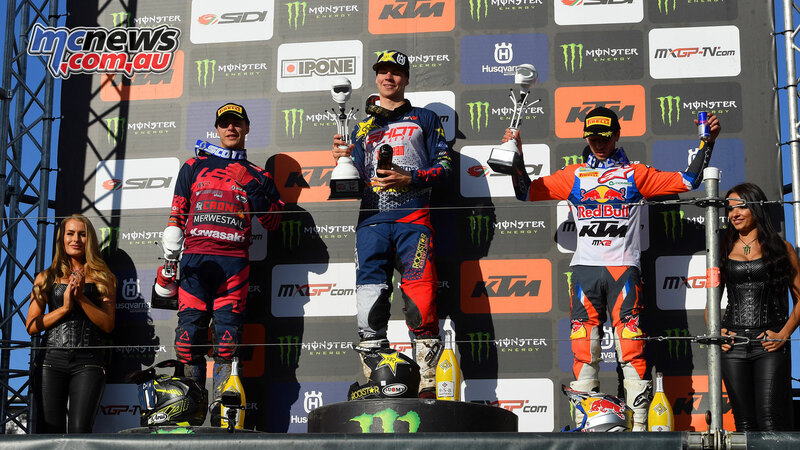 In the overall it was Olsen’s 1-1 taking first, Jacobi’s 2-3 took second, and Vialle’s 3-4 put the Frenchman on the podium in his second ever MX2 race.